A diagram of the Northern Cities Vowel Shift; click on the various words to hear the shifted pronunciations. William Labov explaining the Northern Cities Vowel Shift. A diagram of the Southern Vowel Shift; click on the various words to hear the shifted pronunciations. 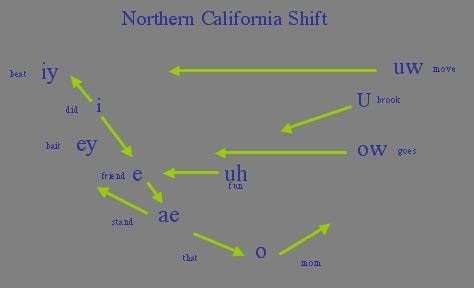 A diagram of the Northern California Vowel Shift; click on the various words to hear the shifted pronunciations. 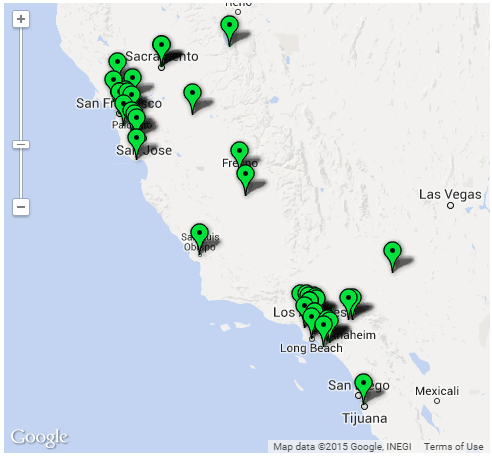 A clickable map enabling you to listen to clips of people talking about – and using – California English. Here a Northerner talking about her perceptions of Southern speech, and then a Southerner talking about her perceptions of Northern speech.